Without the obstruction of foliage, arborists can navigate within trees to evaluate branch structure and make informed pruning decisions quickly. As winter approaches, nature initiates the dormancy process to prepare plants for the harsh weather ahead. Many people are surprised to learn that that dormant season can be a great time of year to prune trees in eastern Massachusetts. There are many distinct advantages to pruning trees during winter that may provide great benefit to you and your trees. Dormancy is the period of time after deciduous trees shed current season leaves until new growth emerges the following spring. When a tree has become dormant, physiological activity is suspended in order to preserve energy for the coming growing season. Pruning during dormancy does not negatively impact this cycle, and in fact, may help reduce susceptibility to environmental stress during active growth. While pruning cuts cause open wounds, trees are capable of forming protective barriers from infection through a response process called compartmentalization. Research suggests pruning wounds made during dormancy often close faster than those made during summer months. Additionally, there’s also reduced insect and disease pressure during this biologically quiet time of year. Cold temperatures, combined with firm ground and dormant understory perennials, often increase equipment access. This can make it easier to work in areas that may be less convenient during other times of the year, allowing for increased safety and efficiency. 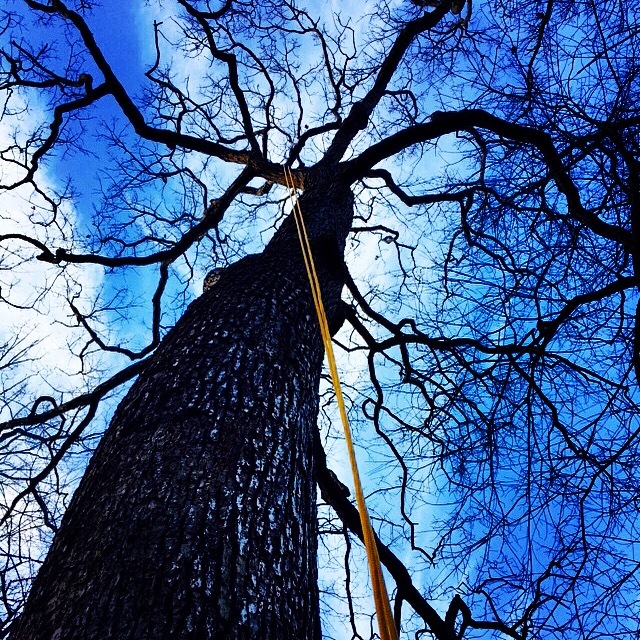 Without the obstruction of foliage on deciduous trees and ornamentals during the winter, it is easier for arborists to navigate within trees to evaluate branch structure to make informed pruning decisions quickly. Improving canopy structure can help prevent tree failure and susceptibility to storm damage in all seasons. Although your trees and landscape may not be foremost on your minds during the winter, dormant tree care can provide great benefit to your trees. Proper pruning can improve the aesthetics and safety of your property dramatically. If you are interested in help developing a plan to care for your trees, contact us to schedule a meeting with one of BTSE’s Certified Arborists.